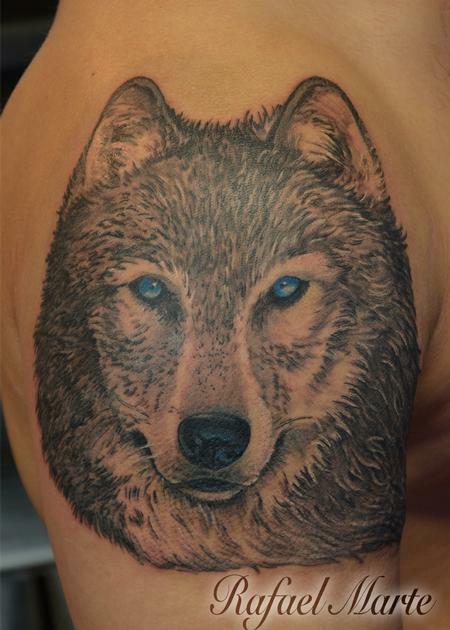 This stoic grey wolf with its glaring blue eyes stares at you in the dark. His eyes peering into your soul. Will you try and hide your true self from it, or will you stand proud to be what you are?